Clint, why hath thou foresaken me? Watching you go from A Fistful of Dollars to Unforgiven to American Sniper is like watching a beloved relative lose their personality and start yelling at birds and blaming everything on ethnicities as they grow older. American Sniper is the story of Chris Kyle, who garnered a reputation as the deadliest sniper in American history. A proud Texan, the horse riding, not cousin riding kind (his words), Kyle is basically a modern cowboy. He is The Fastest Gun in the Middle East, yet he never even gets Ennio Morricone as the soundtrack to his life. Eastwood calls him a hero, but doesn’t know how to actually establish that he is one. American Sniper feels lazy for most of its running time. The battle scenes lack both thrill and suspense. Watching this film is like watching your friend play Call of Duty. One supposedly epic battle scene is shrouded in a sand storm. This seems less like a metaphor for the confusing nature of war and more like a way to keep the budget relatively low. Then, there is a now infamous scene in which Chris holds his baby that is so obviously fake. The reason for this is because the original baby called in sick and they couldn’t find a backup on time. I have trouble buying that. There are hundreds of mothers living in the Oakwood who would willingly give their babies away to Bradley Cooper and Clint Eastwood. Just in case you thought the culture wars were over, they have not. They are being fought on your uncle’s Twitter feed and your former high school bully’s Facebook page. Some people are damning this film as a pro-war statement. Others are using it as an excuse for moronic racism. This situation has basically become “The Tale of Scrotie McBoogerballs” episode of South Park: everybody is ascribing meaning to American Sniper that isn’t there. Liberals and conservatives alike would rather watch a war movie that preaches to their own choir, instead of one that says something new and different. 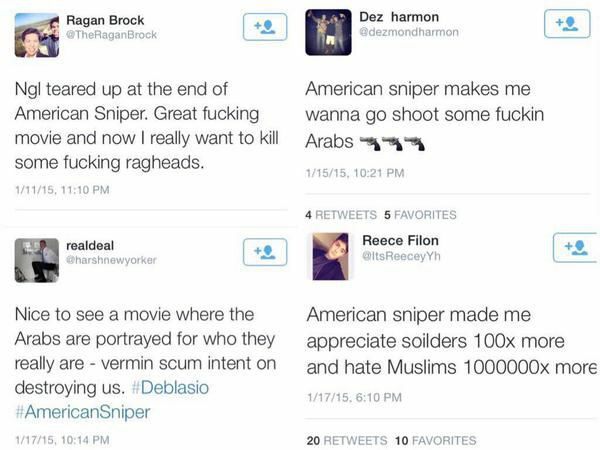 Some jingoistic tendencies aside, American Sniper isn’t very political, and that is one of its greatest failures. Don’t get me wrong, apolitical war movies are great. Just look at The Hurt Locker. While that one wasn’t trying to say anything about what got us into Iraq, it had a powerful message about the nature of war that could be applied to almost any conflict in history. 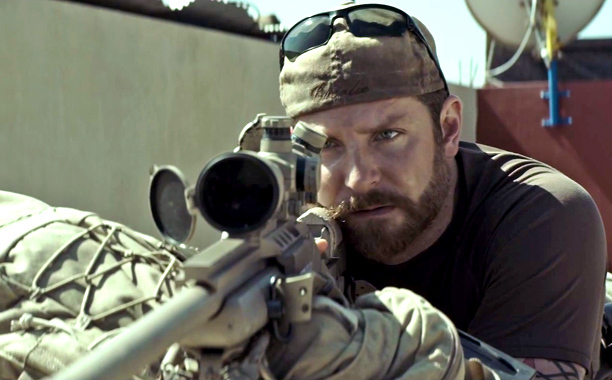 American Sniper explores PTSD and the morality of being a sniper in a half-assed way. While it is great that American Sniper is getting us to talk about what veterans experienced in Iraq, it doesn’t actually lend anything valuable to the conversation. Luckily, the film finds a savior in Bradley Cooper. Cooper is one of few actors who can sell a movie on his name alone who also deserves to be called an artist. He was really passionate about this story, and you can tell from the way that he humanizes Chris Kyle that he really cares about this guy. Cooper gets a few emotionally raw moments out of a weak script, and we can start to comprehend a man who referred to all his targets as “savages,” yet actually hoped he wouldn’t have to kill anybody. There are a few brief moments where Eastwood really pulls through. In one nail-biting scene, we see the painstaking thought process a sniper must go through in a matter of seconds. Later, we see how exactly the war has come home with Chris in a shot that is one brief image accompanied by an unexpected cacophony of noise. These are the moments that the film could have used a lot more of. Whether or not you see Chris Kyle as a hero, villain, or a flawed human just like anyone of us, his story is a powerful one, and it deserved a great cinematic treatment. As a war movie about the battle both at home and abroad, American Sniper comes off as The Deer Hunter without any chutzpah. My dislike for the film has nothing to do with its political outlook; I don’t like it because it doesn’t turn war into any sort of emotional experience. It is the kind of film that makes me want to shake Clint Eastwood and tell him that he can do better. Or, better yet, just put him in a home already. Note: Clint Eastwood is viewed nowadays as a celebrity poster boy for the Republican Party. True, he is a registered Republican. However, he is also a pro-choice, pro-gay marriage libertarian who opposed the Iraq War. That’s the Northern California equivalent of a neocon.